hard-hitting answers to tough questions. 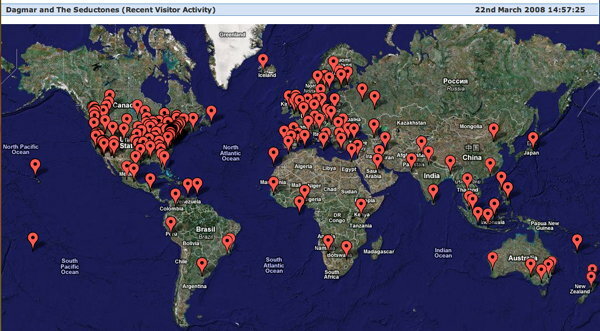 March 20 - Private Event. End of April - Rock-It Radio. Exact dates and times, TBA. Rock-It Radio, the premier internet oldies station just interviewed Dagmar! Upcoming show will feature Don't Stop from the CD, little bitta love. Airing soon! May 8 - Quarry House. 9:30PM - 12:30AM. 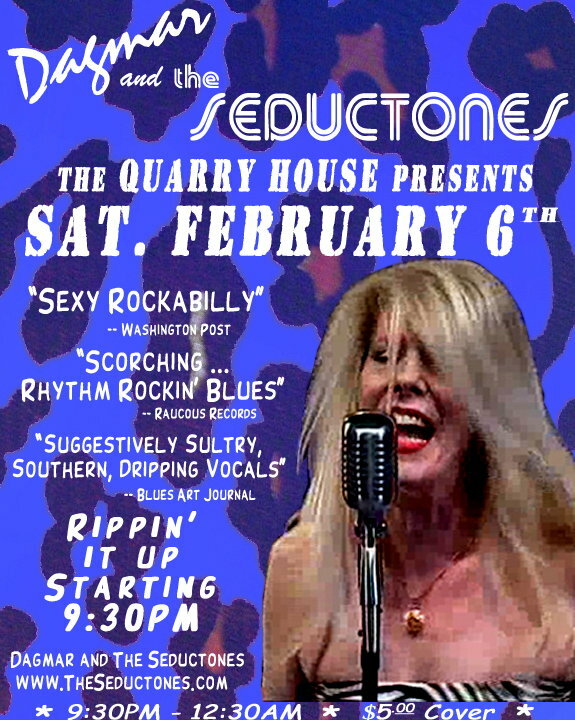 Dagmar and The Seductones shake the cellar at Rockabilly Saturday Night! Shake the cellar, rock the floor, there's room to dance, tater tots and more! May 29 - Brew at the Zoo and Wine Too. 1:00PM - 2:30PM. 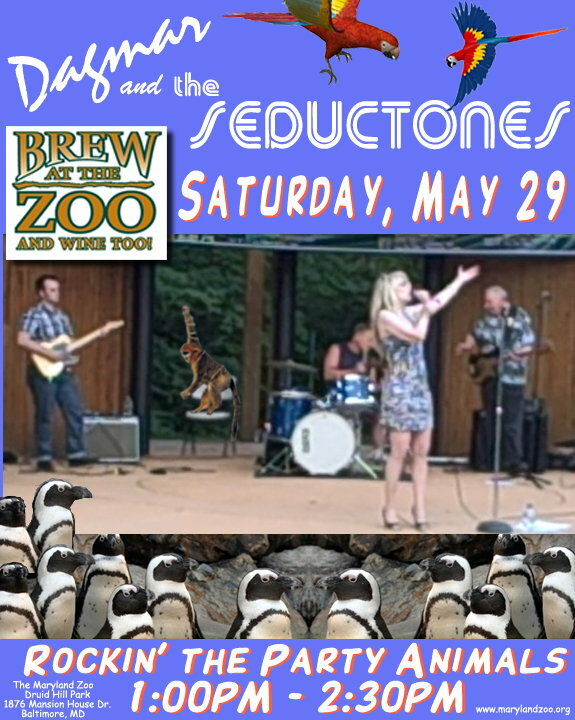 Dagmar and The Seductones rock the party animals at the zoo! Come sample many of the area's finest craft beers and wines with great music at one of The Maryland Zoo's biggest events of the year! There will be give-aways, VIP tents, merchants, delicious fare from a variety of vendors, artisans, a fun-filled Kid Zone, and so much more! A great place to bring the kids! Hear the interview with Dagmar in the no-means-yes set on Rock-It Radio's Bill Green and the Rock and Roll Retrospective Show No.3426. Featuring Don't Stop from the CD, Little Bitta Love (TYM 2004). August 8 - Summer on The Green. 6:30 - 8:00 p.m. Ain't no cure for the Summertime Blues like Summer on the Green! Take a beautiful park, add a rockin' concert featuring Dagmar and The Seductones, and you have a great way to spend a summer Sunday evening. Located right in the middle of town, you'll see a big fountain and plenty of benches that sit above the green lawn leading to the Ampitheatre. Buy yourself a picnic supper from one of the nearby stores or restaurants and bring it along. It's family friendly. 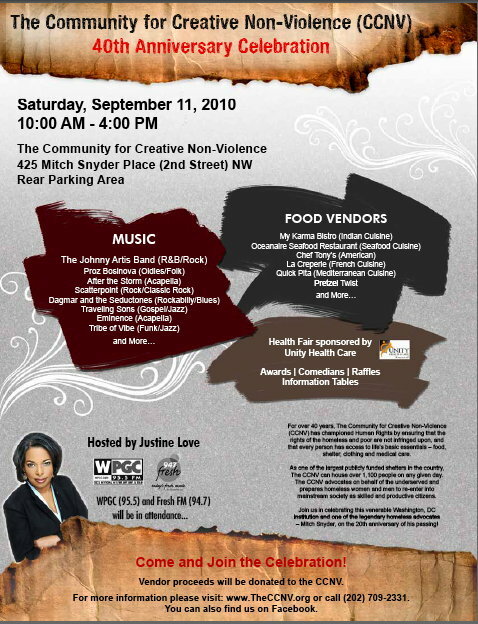 September 11 - 40th Anniversary Celebration, The Community for Creative Non-Violence. 10:00 a.m. - 4:00 p.m. Performance schedule TBA. The Community for Creative Non-violence 40th Anniversary Celebration celebrates 40 years of the CCNV and commemorates the life of Mitch Snyder on the 20th anniversary of his passing. Guest speakers including the Founder of The CCNV, Ed Guinan and life-long homeless advocate Carol Fennelly plus other local government and business leaders. In addition to live entertainment, there will be health screenings, prize raffles, food and beverages and guided tours of The CCNV. Dagmar and The Seductones perform along with a smörgåsbord of other acts -- see flyer. October 2 - Day in the Park. Dagmar and The Seductones play at 1:30 and 3:00 p.m at historic Holmes Run Acres's annual outdoor block party in Luria Park (rain date Oct. 3). Music, food and games. Event is from 1:00PM to 4:00PM. Corner of Holmes Run Dr. and Executive Ave.
Our CDs, Come Back To Me, and our debut, Little Bitta Love, are available for purchase online at CDBaby. Our MP3s are on iTunes! Click on iTunes - Come Back To Me, and iTunes - Little Bitta Love! Also available at your favorite local watering hole, in the TouchTunes(TM) jukebox--do a SuperSearch for Dagmar and The Seductones!